What does God want? Theologians will quickly refer us to the aseity of God and remind us that God does not need anything. Yet, we might respond to these doctors of the Queen of the Sciences by pointing out that we didn't ask about God's needs but rather His wants or desires. 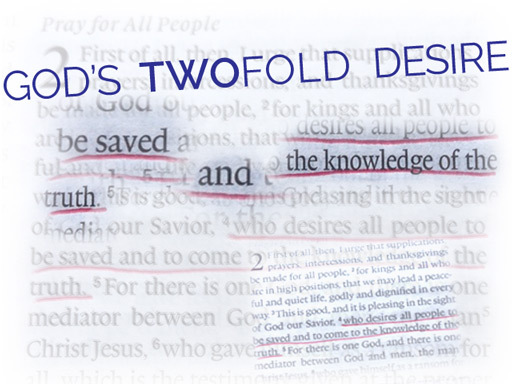 In the New Testament there are three desires of God revealed, but one of these is actually a two-fold desire. Understanding this might help us to realise what the Enemy of God is vigorously working to undermine and prevent. And it might help us to see that the first of these desires can only be achieved if we simultaneously work on the second. Firstly, God desires all people to be saved. While most Evangelists depict being saved as "going to heaven" or even as "not going to hell", it is not merely about our after-life climate (perfect or blazing hot!) that being saved entails. Rather, and if you can apprehend this, it will transform your understanding about God and His plan for you, it is about being reconciled to God through the forgiveness made possible by Christ's substitutionary atonement (His death on the Cross in our place). But this is not all. Being reconciled to God goes way beyond just having our sins forgiven. God not only forgives those He reconciles, He also justifies us with Christ's righteousness. This is not merely fancy religious language - it's legal language. It means that we are eternally deemed to be sinless and thus qualified by Christ to be adopted as God's children. This paramount desire of God to save all people is not involuntarily imposed upon people - each person must choose to turn to God for this forgiveness of their sins, have the meriting of the legal status of innocence and be adopted as a child of God. This enables the creature created in the image of God to have fellowship with their Creator. He desires this! He wants us to love Him and experience His love! But being saved also involves receiving an inheritance that jointly belongs to Christ, His only begotten (not created) Son. Our salvation means we become joint-heirs with Christ! God's desire to save all people involves forgiveness of sins, justification, adoption as children of God, an infinitely valuable inheritance which grants us immediate and unimpeded access to God Himself anytime, and the hope of a new, glorified, super body that will never tire, expire, or perspire! For those who refuse God's offer of salvation - the consequences are eternally dire. Eternally. God does not desire that any should eternally perish. And neither should we. No, I tell you; but unless you repent, you will all likewise perish." ¶ "For God so loved the world, that he gave his only Son, that whoever believes in him should not perish but have eternal life. As much as God wants all people to be saved, He simultaneously wants all people to come to the knowledge of the truth. 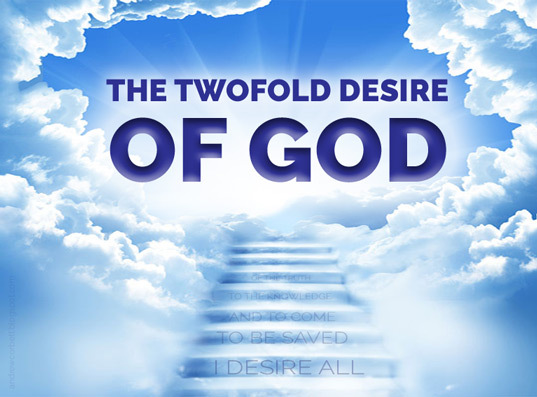 This is the second half of God's two-fold desire. This Divine Two-fold Desire is not an "or" - it's an "and". 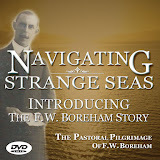 When a lost lamb turns back to the Searching Good Shepherd they become aware of the truth in a way they weren't before. They also become increasingly compelled by God's desire to help others to know the truth. 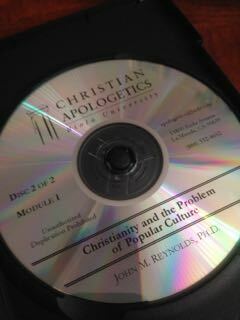 In a very compelling presentation called Christianity and The Problem of Popular Culture, Dr. John M. Reynolds (of BIOLA University) makes the case that through the 19th century people valued truth - especially Christians. In fact, Christians were more often than not the promoters of truth in popular culture throughout the early 1800s. But then naturalists (those who rejected the supernatural including God) began to claim that there were different kinds of truth and relegated Christians to promoting only "a religious truth" rather than the truth. Truth was being dumbed down. Around this time Charles Darwin published Origins Of The Species and increasingly Christians were regarded as intellectually backward and subject to ridicule. Careful thinking, once a hallmark of Christianity, became increasingly neglected as the Church appealed to people to come to Christ by not thinking but rather taking a step of faith - as if faith was wishful thinking rather than careful and truthful thinking. The 20th century saw the invention of film and the rise of the entertainment industry - which began to amuse people. Where once culture drew its recreation from reading, it had begun to value amusement over reflection as its source of recreation. People used to read Dickens, Tolstoy, and Verne, around the family's nightly fireside gathering. Thoughtful Christians down through the centuries had made Augustine, Aquinas, Calvin, their sources of theological reflection, but into the 20th Century along with popular culture amusement became prized over musement (thoughtfulness). Dr Reynolds sees an analogy between what people think about, with what people eat. He asks whether there is anything wrong with eating food which tastes really nice but has no nutritional value? 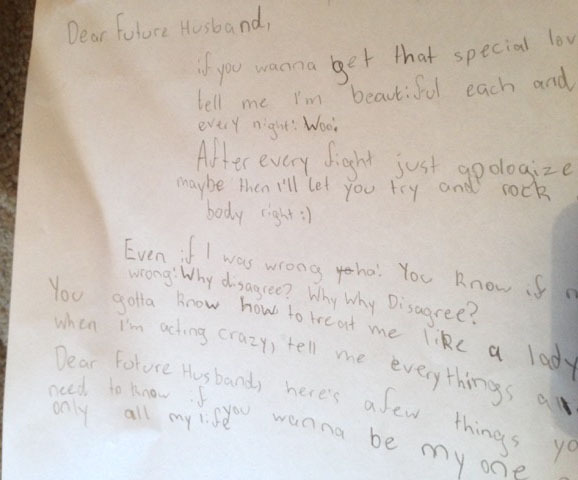 He concludes, no. He calls this type of "food" 'yum yum'. Modern culture has largely become addicted to a diet of intellectual yum yum. This is reflected in "pop" songs, "pop" movies, and "pop" video clips. He goes on to say that this presents a huge problem for the Church today. He's not bemoaning culture's craving for yum yum (as many sour Christians do). Rather, he's trying to get the Church to realise that we are now trying to reach a culture that is not familiar with careful thinking or the nature of truth. He suggests that Christians "slowly educate" their friends and colleagues about the truth and careful thinking, so that they can eventually share the Gospel with them. Readers will note that this is precisely the second half of the Divine Twofold Desire. This is why we must persist in defending the truth about God, the Bible, salvation through Christ alone, sexuality, marriage, the dignity of human life, and freedom to worship. We do this, not to win an argument, but to remove the obstacles to winning a soul. The Gospel is grounded in truth. Christians need to be prepared to use "truth language" when responding to those who ask us why we are Christians and why we believe the Bible. Rather than simply responding, "I believe the Bible because I believe it's the Word of God" we could use 'truth language' and respond, "I believe the Bible is God's Word because there are good reasons for believing so." People aren't used to hearing Christians using words like- "reasons", "evidence", "proof", "reliable sources", and "historical data". As believers we can enjoy yum yum too. But if that's all we are feeding our minds on, we won't be in a position to fulfil the second part of God's twofold desire. As a church we want to help equip each of our church family to fulfil God's twofold desire by being committed to helping people come to a saving knowledge of Christ while simultaneously affirming the truth to a world that thinks truth is determined by each individual. For the Christian truth is not merely about correct facts. 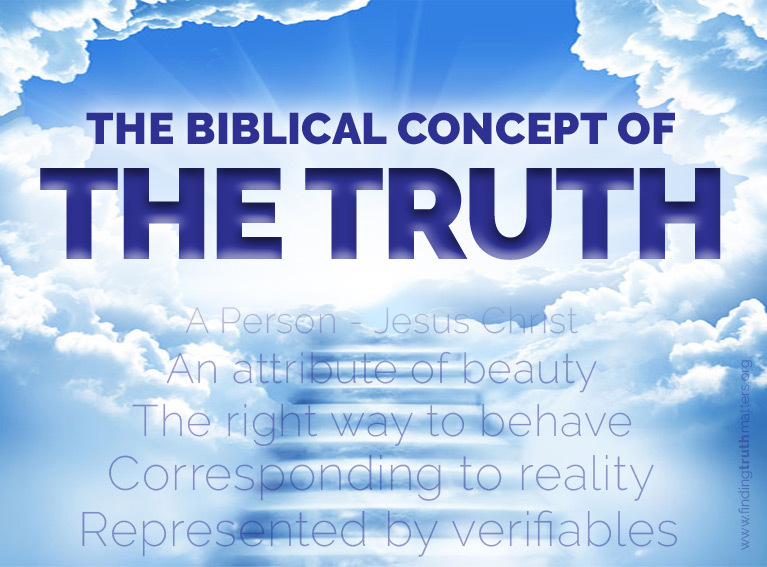 Truth is firstly an integral attribute of God. Jesus declared Himself to be "the Truth" (Jn. 14:6). Truth is instrinsically beautiful ('glorious', John 1:14). Truth involves doing right (Rom. 2:8; Gal. 5:7). Truth corresponds to reality. And truth can be verified - that is, it can be put to the test (1Thess. 5:21). We need to help our friends and colleagues understand the truth. This may take a while, but it may also help them to appreciate that Christians love the truth and that faith in Christ is the result of careful thinking - not the absence of it. By doing this, we are working toward the goal of satisfying God's great twofold desire.